Zen is a way of thinking that originated in India and has become very associated with Japanese culture. Those who follow Zen believe that perfection is impossible, that simplicity is ideal and that stillness and otherworldliness should be cherished. Some of the Zen monks made a living by constructing Japanese gardens and there is speculation over the extent to which Zen has influenced Japanese gardens. But Zen and Japanese gardens both have benefits, including stress relief. Japanese Zen gardens are not necessarily considered a part of the Japanese garden, since many of the Japanese garden creators believed that Zen is more a focus on what’s within you rather than the garden itself, which is the point of the Japanese garden. According to the Japanese Garden Journal, Zen monks meditated while facing a well rather than by sitting in a garden. Still, gardens can have a positive effect on an individual, including relieving stress. Stress can have a variety of physical symptoms such as headaches, chest pain, heart disease, back pain, high blood pressure, decreased immunity, stomach sickness and problems with sleep. Those who are stressed out can experience anxiety, restlessness, worry, insecurity, a lack of focus and poor memory. Emotions like depression, sadness and anger can be triggered through stress. Many stressed individuals develop eating disorders, develop problems with relationships, experience angry outbursts and might turn to drugs, alcohol and smoking for stress relief. Zen meditation has benefits that are both psychological and mental. According to the University of Florida, many individuals turn to meditation in order to think clearly. The deep breathing of meditation reduces the amount of oxygen that the body needs. Blood is directed away from the sympathetic nervous system, the part of the nervous system responsible for fight or flight responses, and instead directs more blood flow to the parasympathetic nervous system. The results of this change are lowered stress, greater energy conservation, increased creativity, reduced depression, less moodiness and improved relationships. Maintaining a Zen garden can be just as physically strenuous as maintaining any other garden, which leads to Zen gardens serving as a source of exercise. According to Iowa State University, the actions of maintaining a garden can serve as stress relief as long as the gardener focuses on the tasks at hand. The plants in the garden produce oxygen that can be beneficial to the gardener’s health and the plants can be very easy on the eyes. Japanese tea gardens have been considered by some, including original tea master Sen no Rikyu, to have a purifying effect. The design of the Japanese gardens tended to be very simplistic, much in line with the Zen ideals of simplicity. 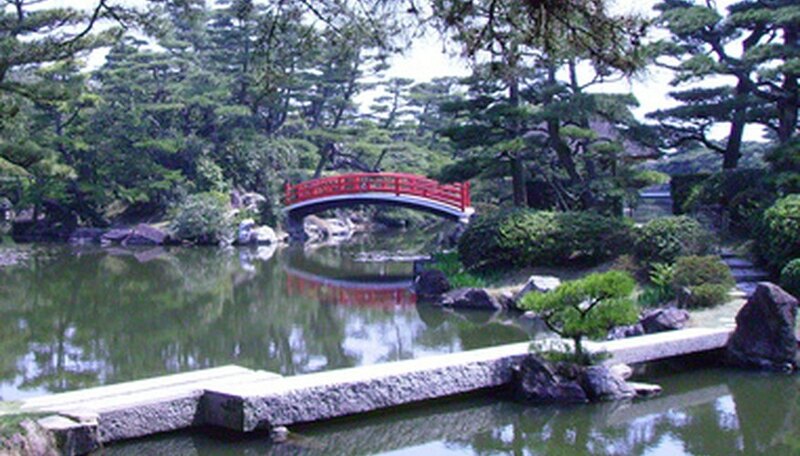 Many of the elements of the Japanese garden, such as the stones, water and bridges, have symbolic resonance among Zen monks.